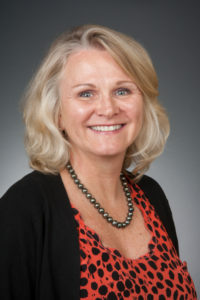 Teri Lovelace is Chief Impact Officer and Senior Vice President for Virginia Community Capital, and President of VCC’s new social enterprise: LOCUS Impact Investing. LOCUS offers services like financial due diligence, investment servicing, and monitoring to foundations and investors wishing to engage in local mission-aligned investing. Teri has over 27 years in the philanthropic, mission investing, and nonprofit sectors. She is responsible for the mission-impact programming and investing where socially motivated investors can support Virginia communities to earn both a financial and social return. In this capacity, she has secured over $15 million in PRIs/MRIs for foundations and developed a community note product called LION notes (Local Impact Opportunity Notes). Prior to VCC, Lovelace served on the senior management team of The Community Foundation, serving Central Virginia. While there, she worked with donors and professional advisors with complex charitable gifts such as charitable trusts, bequests and annuities.